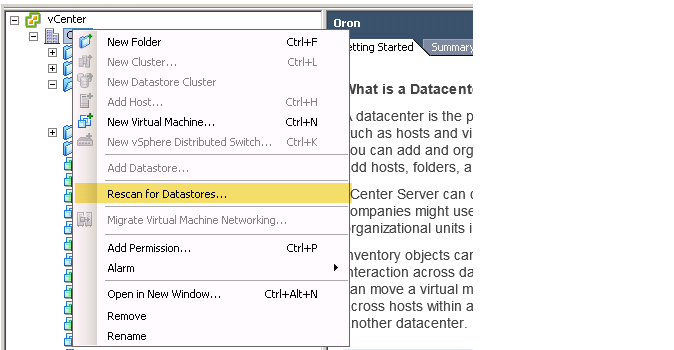 Today I would like to show you how to add new datastores to VMware infrastructures easily and quickly keep on your name conventions, ID orders, best practice! My VMware version is 6 which is still done through VSphere. 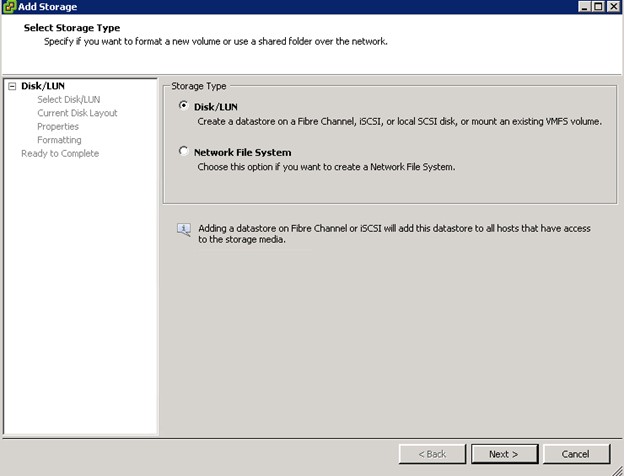 As known database can create on a different type of physical storage – local storage, iSCSI, Fibre Channel SAN, and NFS. I already created a new Volume on my storage and the only task I have to do is adding this new volume to my VMware. 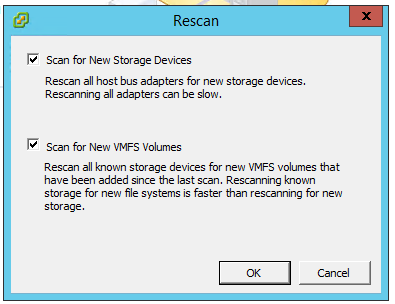 So in my case I have several (ESX) Hosts, I can perform “rescan for databases” on each host or I can rescan it per “Cluster” which consists all hosts and that’s what I am going to do – quicker and better. And that’s all, the Volume is ready for use.